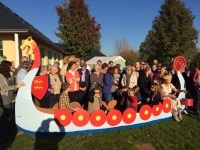 The twinning charter invokes bonds of friendship between the people of Comberton and of Le Vaudreuil through reciprocal visits, and says that the aim of the twinning is to develop co-operation and understanding between our two nations by fostering friendship between their people. It's also great fun, and educational! We are actively seeking new members to join the twinning, particularly families with children. See membership details and contacts below. 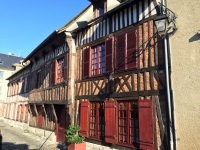 Annual visits to and from our twin village in France – Le Vaudreuil, near Rouen. Speaking French is NOT a requirement, but it is a great opportunity to improve language skills. 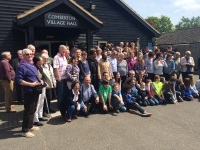 The French came to Comberton 5-7 April 2019. 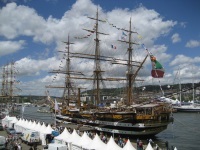 We go there 20-22 September 2019, by coach and Eurotunnel, to celebrate 20 years of twinning. Annual subscription only £10, under 16s free. 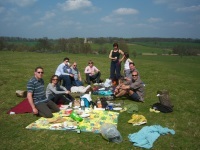 Fun social events such as a summer BBQ. 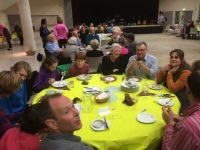 Make new friends locally, and in France. 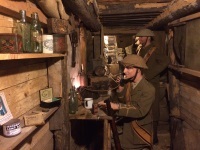 Join the Entente Cordiale to overcome the Brexit blues! 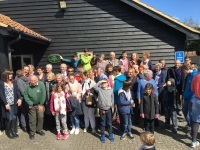 Spring 2019 - Despite Brexit, 37 French came to Comberton for 5-7 April 2019. 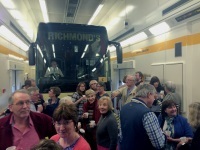 As this was the 20th anniversary of the start of the twinning, there was a programme of activities including a tour of Cambridge with Blue Badge guides (in French and English), a commemoration lunch at Girton College on the Sunday, and a pot-luck supper with entertainment at the Village Hall on the Saturday. 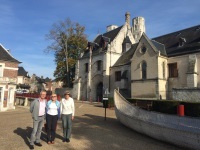 Autumn 2019 Trip to France - We plan that the next visit to France will be 20-22 September 2019. A coach is booked to leave at 4pm. Do join us and come! 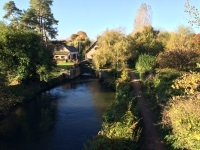 November 2019 - Quiz evening at Village Hall - Teams to Peter Mitton please on 262073. Membership costs only £10, with under-16s joining free. 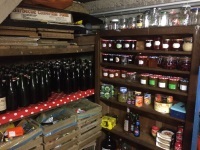 Costs for exchange visits are low, as the hosts provide accommodation and most meals. 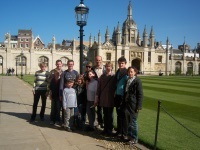 In return there is an expectation that English families will host a French family for a future exchange visit. Please contact the chairman or secretary for more details, or to join. Webmaster: Paul Hardy - email to paul@paulhardy.net. See our page of Frequently Asked Questions, with answers. Click on any picture for bigger versions, and more photos. A poster is available as a PDF file for printing, or as a JPG image. It is also available as a two on a page for an A5 handout. A brief Powerpoint with 7 slides is available, also as a Powerpoint Show (PPS). 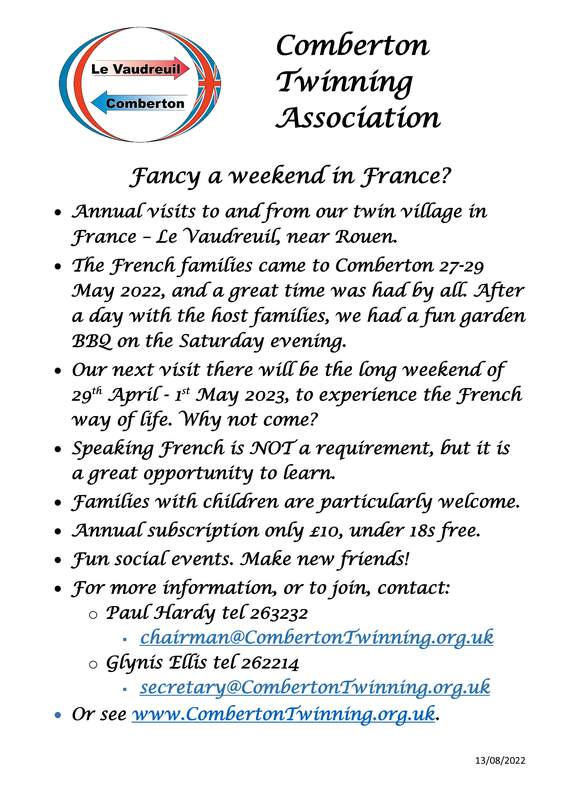 The AGM of Comberton Twinning Association is held at Comberton Village Hall in May or June. In 2018 it was on Wednesday 13th June. In 2019 it will be on Wednesday 22nd May. The Chairman's Report 2018 is at CTA Chairman's Report 2018. 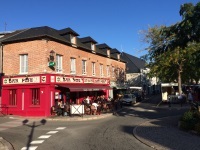 Note however that at the meeting we decided to try for a visit to France in Autumn 2019, as it is the 20th anniversary of the twinning. The Twinning Association, as a non-profit unincorporated voluntary organisation, is regulated by a constitution. The current constitution, adopted at the AGM in 2018, is at CTA Constitution 2018. For history, the previous constitution, adopted in 2001, and updated very slightly in 2010 is at CTA Constitution 2010. The Twinning Association has a set of procedures concerning various aspects of compliance with UK legislation and best practice. These should be read and observed by all members. Equality and Diversity - The Twinning Association has a policy covering our responsibilities for Equality and Diversity (Equality and Diversity Policy). Safeguarding - The Twinning Association has a policy covering safeguarding of children and vulnerable adults during twinning activities. (Safeguarding Policy). Data Protection - The Twinning Association holds minimal personal data about its members, updated annually as part of membership. We have a Data Protection Policy which explains our holdings, procedures, and compliance with the EU GDPR (General Data Protection Regulation) which came into force in May 2018. See the History page for information on the club origins and on past events. 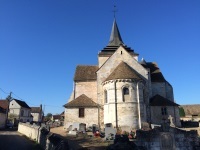 Dill seeds - In April 2017 we received a batch of packets of dill herb seeds (Aneth du Vaudreuil) These were provided to asssociation members, with spares to pass on to neigbours or friends as publicity and as a symbol of the continued relationship between the two villages. There is available for download and printing a short A5 handout (in English).